The Budget SLP: Free E-Books! I started making PowerPoint books for my students in 2004. My son, a middle school student, was making a PowerPoint for a project; a boy on a skateboard. It took 90+ slides for the skateboarder to complete his short journey on the skateboard. My middle-schooler showed me how to make the slides and within a month, I had three PowerPoint books and received a grant to make books for my students and send them home on CDs. During the next six years, I made over 100 PowerPoint books. Some of my favorites were personalized with student’s pictures. Most were introductions to classroom language lessons and others were sent home as printed mini-books. With the advent of my school iPad, I’ve found another use for those old PowerPoints – ebooks. Save the PowerPoints as pdfs to iBooks and your students can read the PowerPoint books on your iPad. Here’s how to make your ebooks. 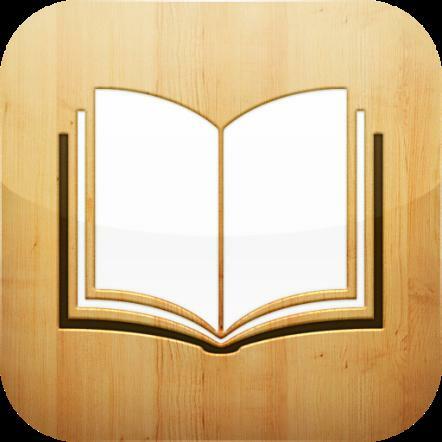 First, make sure that you have downloaded iBooks on to your iPad. It’s free at the App Store. Make or find (see resources below) a PowerPoint. Open it in PowerPoint (not the viewer) and save it as a pdf file. E-mail the pdf file to yourself or, if you have a Dropbox account, put it in Dropbox. Open the E-mail or Dropbox file on your iPad. Press the send / move to button (the open box with the arrow) and choose Open in iBooks. And, just like magic, the book will appear on your iBooks shelf. Here are three of my PowerPoint Books ready for downloading. Save them as PowerPoints, convert them to Flip-Charts for your whiteboard activities, and/or save them each as a pdf to add to your iBooks. This first link is to a blog, 1plus1plus1equals1.com. This home school educator makes wonderful Easy Readers which are ready to use pdf books that can be added to your iBooks (no need to convert). Read her directions to load the books. Several of the adapted books at the NYC Department of Education are PowerPoint books. Pete’s PowerPoint Station has many, many PowerPoints and free clipart, too! Technology Integration Projects for Students has ABC books for the early childhood population. PowerPoint Books can be found on this page of the Region 2 Digital Library. Scroll down to the bottom of the page to see them classified by science, social studies, math, literacy. Also find Pre-K/Functional Academics and LowIncidence PowerPoints. Scroll to the bottom of the Literacy page to see PowerPoint Literacy Units. Each unit includes a PowerPoint, Boardmaker Boards, teaching ideas and a letter to parents. At Setbc.org, the website of Special Education Technology in British Columbia, you will find endless resources. Browse the Free Books made with PowerPoint. Visit the Speech Therapy web pages from Jefferson Parish Public Schools to download a large variety of speech and language PowerPoints. Learning is a lot easier if you have reference materials to look at. These E-books are a nice alternative for those who can't afford to buy something like an encyclopedia set.